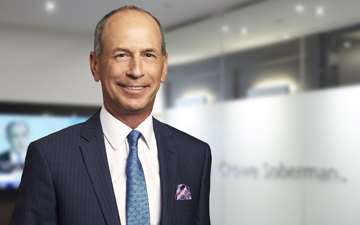 TORONTO, May 11, 2018 – Toronto-based accounting and advisory firm Crowe Soberman LLP, part of the Crowe Horwath International network, will promote the global rebranding of Crowe Horwath to Crowe LLP, which was announced this week by new Crowe Global chief executive officer David Mellor. “We are very proud to be part of the Crowe network of firms that are consistently recognized for their market-leading expertise,” says Crowe Soberman managing partner Jerry Cukier, FCPA, FCA. Effective June 4, 2018, Crowe Horwath LLP in the United States will begin practising under a new name, Crowe LLP, as part of the Crowe Horwath International network, which in turn will rebrand as Crowe Global. The network has launched a new website and new Twitter handle, @CroweGlobal. With 29 partners, Crowe Soberman is one of the largest accounting and advisory firms in Canada, and one of the three Crowe global partners in Canada: Crowe Mackay has offices in Western and Northern Canada, while Crowe BGK has offices in Montreal and Ottawa. Each member firm in the network is a separate and independent legal entity. “While we will remain Crowe Soberman, we will continue to enjoy the strong brand recognition of Crowe globally and will confidently promote the Crowe brand in the Greater Toronto Area, the province of Ontario and throughout Canada,” says Cukier. Ranked as the eighth largest accounting network in the world, Crowe Global has over 220 independent accounting and advisory firms in 130 countries. The global rebranding follows the appointment last month of Mellor. The rebranding effectively removes “Horwath” from the Crowe brand, a partnership that began in 2008, when U.S. firm Crowe Chizek joined the Horwath International network. In 2009, Horwath International then rebranded as Crowe Horwath International. Colin Ellis is the managing editor of Canadian Accountant. Photo courtesy of Crowe Soberman LLP.